Adina Soclof, MS, CCC-SLP, is a Parent Educator, Professional Development Instructor and Speech-Language Pathologist working with children in a school setting. She received her B.A. in history from Queens College and her M.S. in communication sciences from Hunter College. 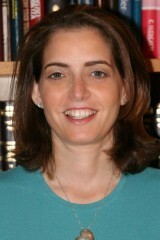 Adina is the founder of ParentingSimply.com. She delivers parenting classes as well as professional development workshops for Speech-Language Pathologists, teachers and other health professionals. Adina is available for speaking engagements. You can reach her at asoclof@parentingsimply.com or check out her website at www.parentingsimply.com.Disclosure:Financial: Ms. Soclof receives royalty payments from Professional Development Resources on sales of her courses.Nonfinancial: No relevant nonfinancial relationship exists.